Not only did Southern beat out SWAC schools for Bertrand Carrell, it beat out SEC and ACC schools, including one in its back yard. Bertrand Carrell had 11 offers from FBS schools. He had four from Power Five schools. He had three from the SEC. So where is the senior defensive back from Baton Rouge, LA going to play his college ball? It will be in his home town, but not at LSU. 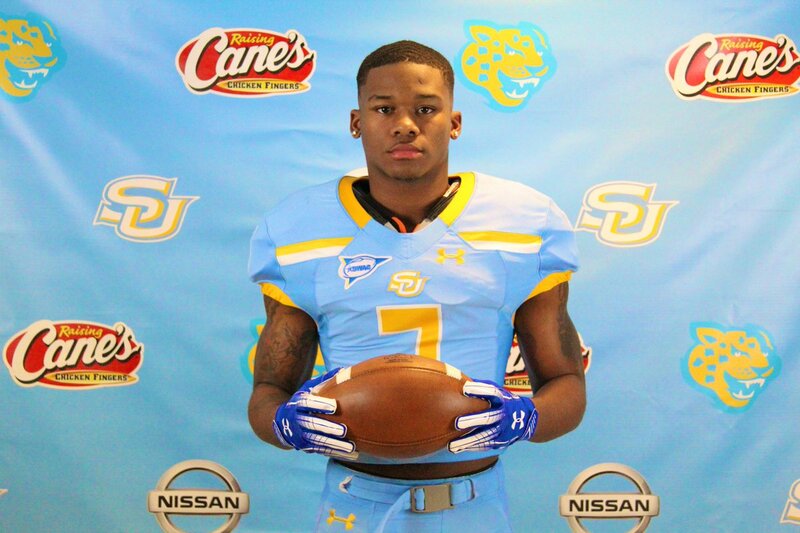 The Madison Prep Academy safety will play his college ball in the SWAC for his hometown school: Southern University. Ranked a three-star recruit by Rivals, Carrell committed to Southern on Jan. 29. He will sign his National Letter of Intent in front of family, friends and classmates at his school on Wednesday. He chose SU over its SWAC rivals Alabama State and Jackson State, but also over big time schools like Miami (FL), Kentucky and, yes LSU. He’s listed at 6’1, 195 and ranked as the 27th prospect in the state of Lousiana. And he’s not the only key recruit head coach Dawson Odums and crew fished out of their back yard. Joining Carrell in Southern’s defensive backfield of the future is Anthony Shaffer of Central High School. He picked SU over Jackson State and also had an offer from Southern Methodist University. Only time will tell whether these two hometown kids will be stars in the SWAC, but for now the future looks bright for both of them.